Indie Retro News: ZX SPECTRUM 1982-2016 - 5½ hours of ZX Spectrum games featured! ZX SPECTRUM 1982-2016 - 5½ hours of ZX Spectrum games featured! There probably isn't a person amongst us that hasn't heard of the ZX Spectrum, an incredible 8-bit machine that was released here in the UK in 1982 by Sinclair Research. There were so many games released over the years that it was hard to keep up, with some of the best games being Ghost Castle, Target Renegade, Jet Pac and even the latest remake Crystal Kingdom Dizzy. So how would you like to be taken back by nostalgia and see some of the best programmed ZX Spectrum games? You would good! As Modern Retro Gaming has released a video called "ZX SPECTRUM 1982-2016: 5½ hours with 600+ top quality colorful games!" According to the uploader, he has included more than 600 games, but it is not a Top 10 or Top 20 list for every year, so there is a lot of well known games that is not included because focus is on the best programmed games and not on the best sold ones. 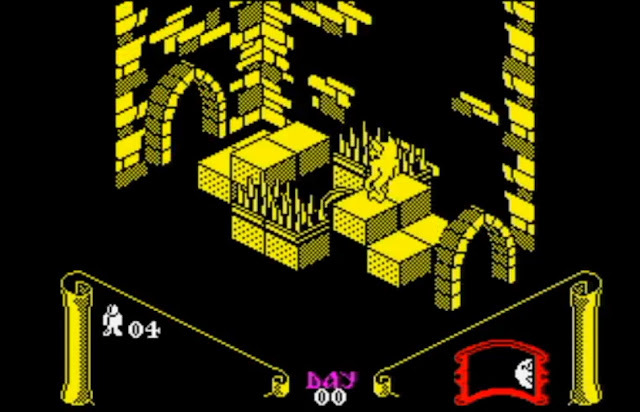 The video has been made to show some of the best programmed games for the ZX Spectrum, and to show fans and enthusiasts what is available for the system.